Yes, interest rates for mortgages are still as low as they could possible get. Additionally, home prices are still low as well. However, don’t let this lead you into believing that any home purchase is a good one. The buyers currently hold all the cards. However, you must make sure that you make careful considerations before you buy. There are a some red flags that you need to be aware of that could tell you that a purchase may not be the best way forward. These problems are not always significant enough to tell you not to buy, but sometimes they are. Two things are of particular importance in terms of red flags. First, inspect the neighborhood. Are there many homes for sale and many boarded up shops? Talk to your potential new neighbors and ask what the area is like. Have a look at how the land is shaped. If you notice that the yard is on a downwards slope towards the property, the foundations could be affected by rain water. You should also look into whether there are any weird smells in and out of the property. Bugs and insects are a bad sign as well. Ask community members of this, as everybody always knows when someone else has pests. Then, you need to look into things that may have caused damage to the property that are very hard to fix. These things include water damage, pest damage, asbestos, mold and faulty wiring. But it often takes a professional eye to actually spot these problems. The current owners themselves may not be aware of the presence of these problems. And if they do, it is likely that they will try to keep them hidden. All that needs to be done in order to hide problems like this is a bit of cleaning and reducing power usage. To find out, you can arrange for a home inspection, but do also make sure you speak to members of the community. Unless they are selling themselves, they will generally be happy to tell you whether there have been problems in the past. Generally speaking, major problems like pests, water damage and mold will occur in more than one property. At the end of the day, you should never purchase a property that you haven’t had inspected professionally. However, the hints and tips above should tell you whether or not it is worth investing in an inspection at all. If any problems are present, you can choose to walk away from the property, or you can request a huge discount on the purchase price so you can arrange the necessary repairs. Also, always trust the advice of home inspectors. 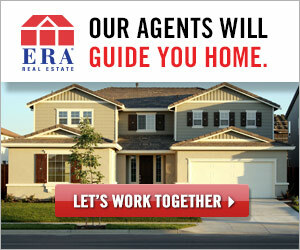 Their goal is to make sure you get a good deal on a property.